And now behold, I ask of you, my brethren of the church,  have ye spiritually been born of God? Have ye received his image in your countenances? Have ye experienced this mighty change in your hearts? Did you know that, in this same chapter, one of the longest in the book, Alma poses 45 “interview” questions. I say interview because they address what’s in the human heart at the deepest levels. If you’d like to conduct a rigorous self-interview, ask yourself all these questions and give yourself a score of 1–5 for each answer (1, meaning “I’m not doing so well” to 5, meaning, “I’m doing great”), then add the score (225 is perfect). yea, will ye still persist in the wearing of costly apparel and setting your hearts upon the vain things of the world, upon your riches? Here’s another passage I discovered while still in my teens. It’s been an important part of my spiritual foundation ever since. These simple, straightforward verses have resonated with me since I first read them at age 18. They’re also a practical measure that inspire a few questions in me. Are you putting your trust in the Spirit that leads you to do good or in that spirit that leads you to do wrong or bad? Are you trusting in the Lord or in man and and reason—”the arm of flesh” (see 2 Nephi 4:34)? Is it okay with you to not be right? Are you humble? Do you set aside judgments and harsh opinions in favor of understanding others and listening to them? If you do these things, you’ll be led by the Spirit. You will be joyful and enlightened and, if you truly believe, your righteous prayers will be granted. With his “can do” attitude, he humbled his father and older brothers. He had a successful hunt. He had a successful life! This verse has stuck with me for years. I don’t ever remember hearing it quoted over the pulpit or in Sunday school. To me, it is one of the key verses in the entire Book of Mormon because it’s like a hinge for the rest of the book. It’s from the early life of Nephi, one of the sons of Lehi, who took a spiritual approach to a big problem. After Lehi’s revelation about the destruction of Jerusalem in around 600 AD, he left the city and traveled three days into the wilderness, leaving behind home and to escape those who protested Lehi’s prophecies and threatened his life. Nephi’s older brothers Laman and Lemuel were none too happy about leaving behind the comforts and security of home. Nephi on the other hand wanted to believe and follow his father. He went off by himself for a time, his is what he said. It started with a sincere desire, not denial or mocking. He cried to the Lord who visited him, softened his heart, enabling him to believe his father’s words. Consequently, he did not rebel like his brothers. And that all the difference for his posterity kept faith alive for nearly 1,000 years that followed. Be ye therefore perfect, even as your Father which is in heaven is perfect. (Matthew 5:48). That’s a loaded verse. Is Jesus commanding us to be flawless in character and behavior, today? Is He asking us to be perfect like God the Father right now? If so, I think the human race is sunk. Who among mortals could live up to such a charge? Not I. So perfect can mean a number of things, but I like the definitions mature, complete, finished. These are qualities that seem far more reachable than flawlessness, which is a common and burdensome misconception of the word. Hebrews 12:23 speaks of “just men made perfect.” That makes sense to me, that we are made perfect rather than getting there all by our determined selves. According to these beautiful words from Moroni, our perfection will come through the grace of God, if we love God with all our might, mind, and strength, denying ourselves all ungodliness, by the grace of God we will be made perfect. A perfect plan made by a perfect creator. That doesn’t mean we are not accountable for our actions and for constant improvement. On the contrary. We are accountable, whether we believe it or not. So What Is Teenage Rebellion? We hear about rebellious teenagers but what do we mean by rebel? I have some thoughts about this. Our younger generation may not really be rebelling though society might label them so. The dictionary defines rebellion as an “open opposition toward a person or group in authority” or “refusal to obey rules or accept normal standards of behavior.” Not my idea of fun. Here’s one example of true rebellion from the Book of Mormon. Laman and Lemuel and their unnamed followers were murmur-o-maniacs. They just could not get over their inclination to rebel against their parents and brothers and to regularly deride what was holy and good. They had their okay moments, such as when they helped Nephi build a ship (see 1 Nephi 17 and 18), but those moments did not occur until after Nephi used some supernatural persuasion (see 1 Nephi 17:52–55). Nevertheless, because they were “past feeling” (see 1 Nephi 17:45), they persisted in their stubbornness, and more than once threatened to murder their father and siblings. Family factions were eventually forced to separate. Permanently. Those who persistently rebel cannot be redeemed. Abinadi in the Book of Mormon told a belligerent king and his false-hearted priests that they “ought to tremble; for the Lord redeemeth none such that rebel against him and die in their sins; yea, even all those that have perished in their sins ever since the world began, that have wilfully rebelled against God, that have known the commandments of God, and would not keep them; these are they that have no part in the first resurrection” (see Mosiah 15:26). If we wilfully rebel against God and His commandments and don’t repent, it looks like we won’t join the faithful in the first resurrection. And if we are not part of the first resurrection, we will not be part of the celestial kingdom. We’ll have to camp out in another kingdom. For a very long time. Not a happy prospect. On the other hand, things are often not that bad. There is usually a lot of reasons to hope. For example, in their younger years, Alma the Younger and the sons of Mosiah rebelled against God (see Mosiah 27:11), but they fully repented—fully. Any who are acquainted with their depth of repentance and their lives of absolute devotion shouldn’t have any doubt about how well things turned out for them. So it’s not so much the rebellion that does us in: it’s sticking to rebellion, and coming back to rebellion over and over, that keeps us mired in trouble. Consider this. It’s not easy for us to tell, but when our children rebel against us, it might not be rebellion against God and our faith and culture as much as it might be rebellion against coercive, fear-based parenting. God entrusts us with our children’s agency, at least until they are able to exercise it on their own. As infants and toddlers, they need to be fiercely protected from the elements, from passing cars, from hot stoves. As young children, the leash gets longer and they get more freedom. They go to school, make friends, and we leave them in the care of others. As tweens and teens, they venture into romantic longings, the virtual world of smart phones, relationship experimentation, and long trips away from home. We all but unsnap the leash. And sometimes they suffer from hormone poisoning. Sometimes they rebel—and we cling. We don’t want our children whom we love more than life itself wandering off on “forbidden paths” (see 1 Nephi 8:28) and so we restrict and grasp and and yank and yell. And what happens? Instead of drawing them back, we push them away, sometimes far away. Any parent knows that every child is different. Each has different needs, different ways of looking at the world, different talents. Some create their own boundaries and stay within them; others cannot be contained by any boundary. We can’t blame ourselves solely when our children, in spite of our very best though imperfect efforts, go another way. They have the right to choose. The point I want to make here is that we sometimes encourage rebellion by asking too much of our kids, by expecting perfection, or by forcing them to do the right thing. It’s counterproductive. God doesn’t compel us; why should we compel our children? We cannot be saved or damned without our permission. We may urge, maybe even plead, but if we coerce or force, we’ve gone too far. By so doing, we create resentment and in resentment lies the seeds of rebellion. Alma the Younger knew. He put his parents through the wringer himself. If we abduct our children’s agency, we compel them and according to the Book of Mormon, we shouldn’t do that. We should teach them, reach out to them, persuade and encourage, love, and turn to heaven for help, but not force. Remember that force or the systematic denial of agency, along with its chief proponent, were voted down by a majority in premortal life. The conflict continues. Let’s not switch sides. Don’t collar your kids out of fear. Guide more and chide less. It’s just a thought. Author Michael James FitzgeraldPosted on November 6, 2016 November 12, 2016 Categories Book of Mormon, ParentingLeave a comment on So What Is Teenage Rebellion? I love the Book of Mormon. 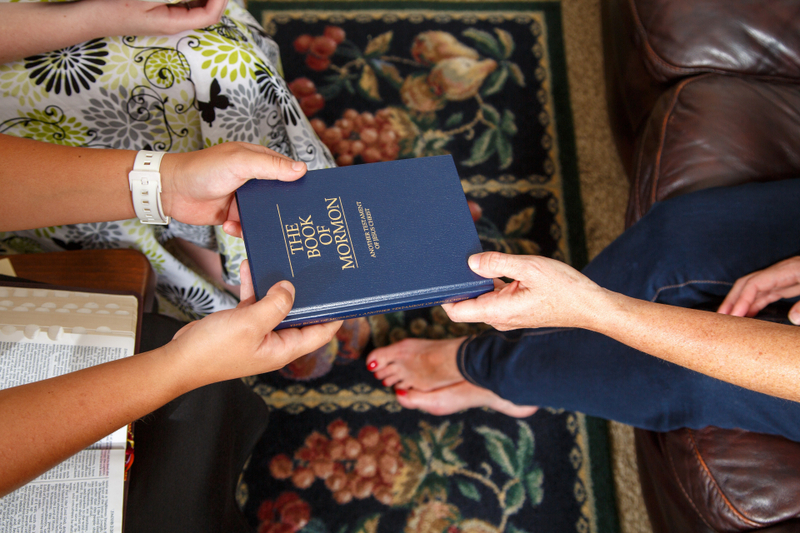 I dearly love the Bible, but I love the Book of Mormon more than any other book. I have loved it for over 40 years, since I first became acquainted with it at the age of 17. I love it for the way it speaks of Christ, placing Him as the central figure of the spiritual history of the world, of both the eastern and western hemispheres. This book is an antidote when I am down in the dumps. When I read it, I am in a temple of peace. It’s my mountain top, my booster rocket, my life raft, my bomb shelter. I recently began reading the Book of Mormon again with a new mission in mind. I found a fresh paperback copy on our bookshelf (2013 edition) and a fine-tipped, purple Flair pen. I am marking every occurrence of the name for Christ that I can find in purple—the color of royalty. I can’t tell you what a spiritual experience it has been for me so far! Every time I find His name on these pages, I light up. I am not sure why, but it feels like on this trip through its pages I am being washed in living water—from a waterfall that started in heaven. It is fire and light, hope and peace, and cool refreshment, all wrapped into one. If you have never read the Book of Mormon, I promise if you read it with a humble attitude and an open heart, it will bless your life. It will open doors and open eyes. It will lower your blood pressure (if only figuratively). It will give you hope. You will find new direction for your life. It is a text book for our day. It will guide you to higher ground in a time that we desperately need higher ground and a sense of safety. If you don’t know how to get your hands on a copy, if you contact me here and give me your address, I will personally send you a copy, free of charge. No strings attached.